This is the latest article in the popular Blues Law series by lawyer, author, and radio personality Brian Lukasavitz, “The Blues Attorney”, that explores interesting and landmark law cases related to the blues genre. The entertainment industry operates on written agreements that dictate what music is performed, recorded, licensed and distributed. It was common in the 1950’s and 1960’s for small independent labels to sign distribution agreements with larger, more-established labels to get the music out to radio stations and music stores. Arguably, no contract rocked the R&B music scene like the one set forth in 1960 (formalized in 1965), between Stax Records co-founder, Jim Stewart, and Atlantic Records co-owner, Jerry Wexler. This contract would be mutually beneficial for both Stax and Atlantic during the early to mid-’60s, however, the agreement would eventually lead to the undoing of Stax. The string of artists from both labels who benefitted from the contractual relationship reads like a who’s-who of soul legends: Wilson Pickett; Sam and Dave; Otis Redding; Carla Thomas; Eddie Floyd; Booker T & the MGs; Don Covay; The Mar-Keys; Isaac Hayes; The Bar-Kays and on and on. Both labels provided talented artists, but Stax provided a killer studio band and an amazing team of writers and producers, while Atlantic provided a distribution machine that allowed hit after hit to be disseminated to every radio station and record shop. By 1960, the Atlantic Recording Corp. had established itself as a premier R&B label with artists Big Joe Turner, The Clovers, The Drifters, Ruth Brown, Ray Charles, Clyde McPhatter, and the Coasters among others. The big New York label had grown successfully from a small blues and jazz label, incorporated in 1947 by Herb Abramson and Ahmet Ertegun, into one of the largest labels on the East Coast. Atlantic was so successful that they began acquiring small independent labels and also distributing releases for small regional labels, like Stax. 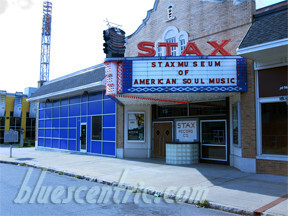 Stax Records was a little studio and record company started by siblings Jim Stewart and Estelle Axton. After changing its name from Satellite Records, relocating a few times and the investing in a new recording system, Stax Records was finally able to set up shop in the old Capitol Theatre at 926 East McLemore Avenue in Memphis. This would be the site where Rufus and Carla Thomas would record “Cause I Love You”, their first Stax recording. It was a regional hit but the next single “Gee Whiz”, recorded as a solo by Carla, became a national hit. Although originally released on Stax, the new arrangement resulted in “Gee Whiz” being re-issued under Atlantic/Atco and the hits would begin stacking up. Wexler, impressed by the quality of the records, the talent of the staff songwriters, producers, and house-band, was soon bringing Atlantic artists to the Stax studio to record. Though many of the artists were signed to Stax, all of the music from this point on was released by Atlantic or one of their subsidiaries labels, such as Atco. Both labels continued to churn out hits recorded at the Memphis-based studio through the bulk of the 1960’s. In 1967, Warner Brothers purchased Atlantic Records. This purchase triggered an automatic renegotiation of the distribution deal with Stax Records. At this time it became apparent, under the 1965 agreement between Atlantic and Stax, that buried deep in the contract was a clause which stated “all right, title and interest, including any rights of reproduction, in all Stax’s Atlantic-distributed recordings”. This clause meant that the entire catalogue of recordings made by Stax, regardless of the artist or designation of label, had become property of Atlantic Records. This was a major blow to Stax Records. To add insult to injury, in 1965 Atlantic had begun using the Fame studios in Muscle Shoals, Alabama for many of their artists as well. All of the classic soul hits that had been cranked out of Memphis were now owned by Warner Brothers and their newly-acquired Atlantic Records. The end of the ‘60s would bring great change for the label. Though they’d never regain their ability to crank out hit after hit, by the end of the decade they’d have a growing roster of successful artists and firm grasp on the pulse of soul and early funk. Stewart’s attempts to renegotiate with the Warner Brothers proved fruitless, but they quickly negotiated a favorable new distribution deal with Paramount Records. Stax would lose two of their most successful acts in 1967, when Otis Redding and the majority of the Bar-Kay would tragically die in a plane crash. Racial tensions in the country and changing music trends would further complicate Stax’s situation. In an attempt to stay on top of the changing music trends, Stewart promoted marketing executive, Al Bell, to the position of Vice President. Under Bell’s leadership, Stax would help to facilitate a new sound for their older soul acts like the Staple Singers and Rufus Thomas, as well as spotlighting innovative newer acts like Isaac Hayes, Johnnie Taylor, and the Soul Children.